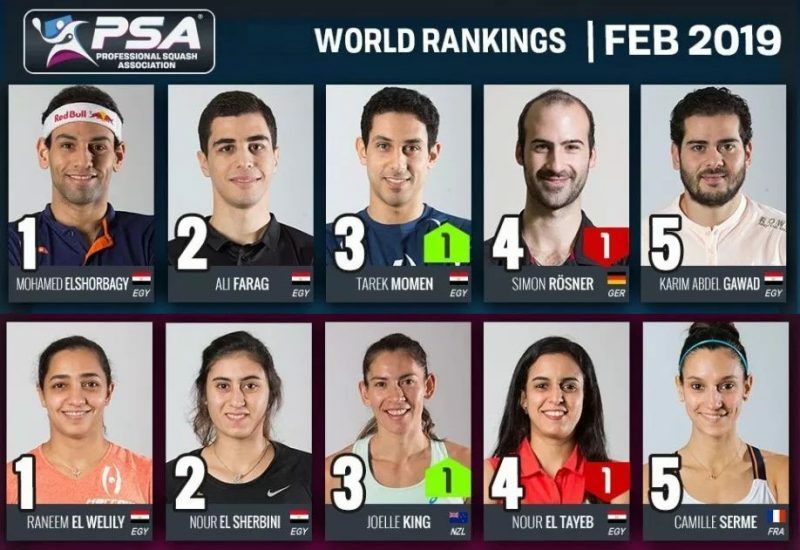 It was a dramatic 110-minute final that brought the 2009 Saudi International to a fitting climax at Sunset Beach in Al-Khobar in Saudi Arabia when Egyptian Ramy Ashour not only clinched the $250,000 PSA World Tour Super Series squash title in sensational style, but ensured that he would become number one in the PSA world rankings in January 2010 for the first time. 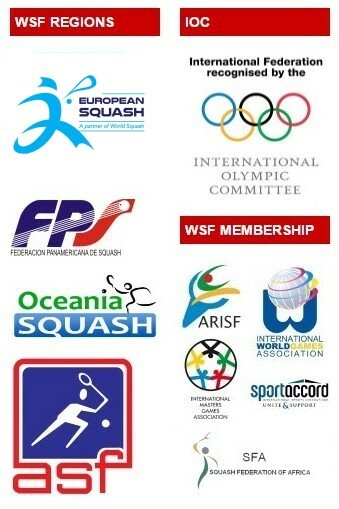 Described by Professional Squash Association (PSA) CEO Alex Gough as “the most incredible, most tense match I have seen in a long time”, the clash was watched not only by a packed – and partisan – crowd at Sunset Beach willing ‘local’ hero Ashour to win, but also by thousands of squash enthusiasts around the world via the new internet TV streaming service www.psasquashtv.com launched by the PSA at the final Super Series event of the year. 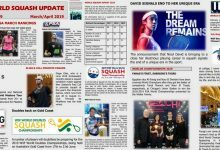 Top seed Ashour was facing England’s third seed Nick Matthew – with both players eyeing up both the winner’s cheque of $37,400 and the next world number one ranking. 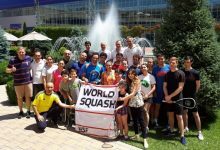 And from the start, right through to the final point, it was anyone’s match: After Ashour took the first game, Matthew came back in the second after winning five points in a row from 6-7 down. The 22-year-old Egyptian led through most of the third – but Matthew saved two games balls from 8-10 down after two sensational rallies before the pressure got to him as he made a costly error to give Ashour a confidence-boosting 2/1 lead. 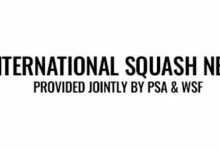 “That was a massive game,” said SquashTV guest commentator Adrian Grant, the England international who was beaten in the semi-finals by Matthew. 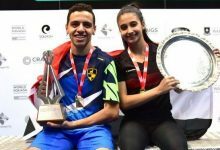 True to style, the young Ashour scored six quick points in the fourth to reach 8-4 – and, just three points from the title, seemed in control. But, true to his Yorkshire roots, Matthew refused to give up – and, playing his best squash of the match, dug deep to claim the next seven points in succession to force a decider. 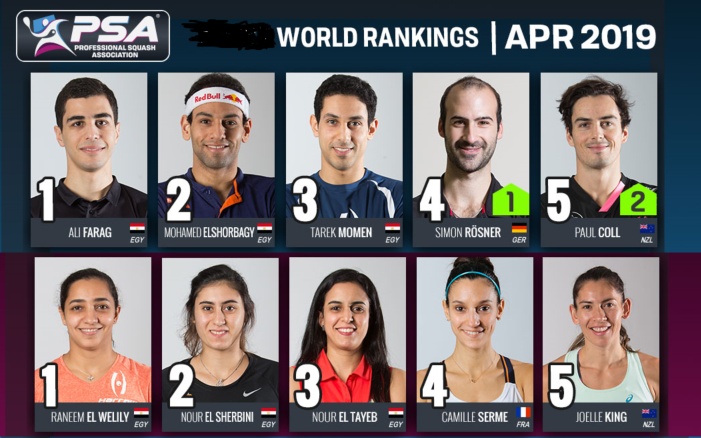 Incredibly, again Ashour moved ahead to 8-4 in the fifth game – and again Matthew mounted a rear-guard action to reduce the deficit, winning the eighth point after sending Ashour scurrying to the back corner where he slipped and went head-first into the wall. After a three-minute injury break to dry off his shoes, Ashour was back and, despite almost slipping again, took the next two points to seal his historic 11-7, 7-11, 11-9, 9-11, 11-8 victory. 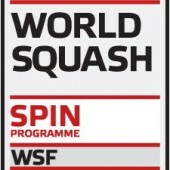 The match was not only Ashour’s longest of the tournament – but his longest all-time (by almost 20 minutes) on the PSA World Tour. 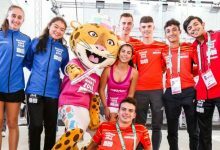 “I think we both played well, and to be honest, this is probably the toughest match I ever played,” conceded the new champion to the official website www.atcosquash.com afterwards. “And I think it’s good that Nick and I are pushing each other that hard, because we’ll keep playing for a long time. “I was able to relax at the start of each game, but when I got the lead, then I started thinking, and started to get all tense, and didn’t go for my shots! “Tonight, it could have been anybody’s, it was the most amazing match ever! But at the end, it was so slippery out there! The sweat was coming out of our bodies, our shirts, our shoes!!! Maybe it was my shoes I don’t know, but I kept slipping on there! “We fought hard, really we fought all the way, but there is an immense respect between us too,” said the 29-year-old from Sheffield. “I think we both played well tonight, and there was the smallest of margin at the end. “All credit to Ramy – he deserves this victory, and the title. Although, we were smiling with Ziad (Al-Turki) during the trophy ceremony, when he said that he worked all his life to get that title, he is only 22! I really have worked all my life, so I think he should have let me have it then! Alex Gough stated that it was the most incredible match he had seen in a long time. 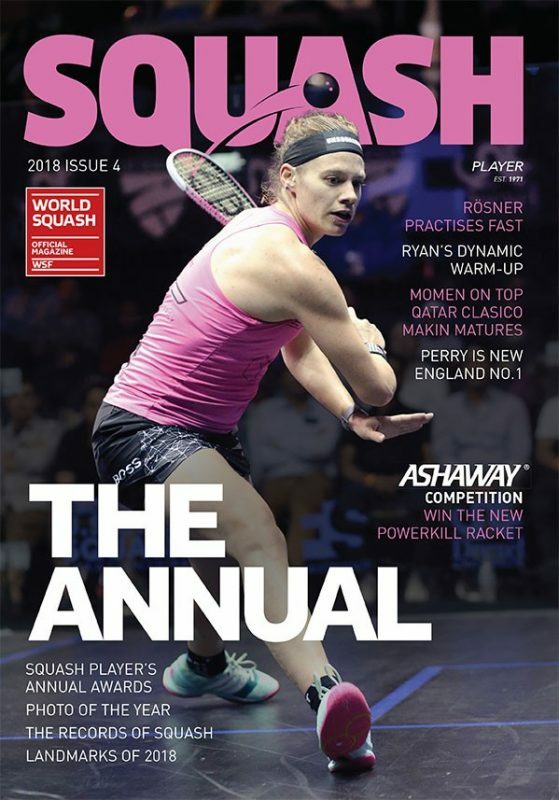 “Considering what was at stake, both players played fearlessly and produced squash of the highest quality,” added the former world number four. “It’s an old cliché, but it was a shame someone had to lose – but tonight Ramy was the one who held up in the final throws. Tough for Nick to take, but he can be proud at being as close as he was. “2010 is set up to be an incredible year all around and we have the players to elevate the sport to where it deserves,” concluded the PSA CEO.